​Jurgen Klopp has revealed how Mohamed Salah is benefitting from work conducted on the training ground, although he also admitted that some of his finishes are pure instinct. The Reds boss spoke, via the ​Liverpool Echo, about his red-hot forward, who has plundered a spectacular 40 goals in just 45 matches since his £37m move from Roma last summer. Salah's form has seen nominated for the 218 PFA Player of the Year award and included in the PFA Team of the Year - the only Liverpool star to appear in the star lineup. And Klopp stated his belief that the Egyptian is benefitting from a telepathic relationship with his fellow squad members after they linked up time and again at the club's Melwood training centre on Merseyside throughout this term. Using Salah's goal against Manchester City at the Etihad as an example, he said: “It was Gini (Wijnaldum) to Alex (Oxlade-Chamberlain), Mo, Sadio (Mane) and Mo. "The first three passes are from the training ground and the moment Sadio takes the ball against their defence it is Sadio – it is ridiculous how quick he was in that moment. “It was like he had a bad first touch and then voom into the best position – probably a penalty, although I do not know if would have been given. Then it is Mo instinct. If something drops he takes it. “We had this situation with Mo a few times. You cannot train that. The Milly shot against Porto that hit the post, in that second it was only Mo reacting for that ball. It was unbelievable. 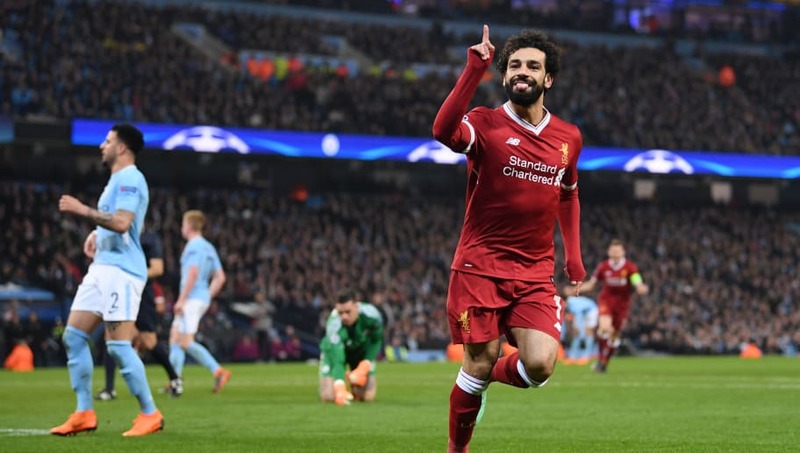 Salah has been a revelation for the third-placed Premier League team all season long, and his displays have even led to suggestions that La Liga giants Barcelona and Real Madrid may look to try and prise him away from Anfield in the summer transfer window.